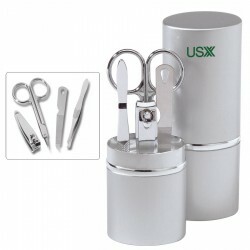 Manicure sets are appreciated and valuable promo items. 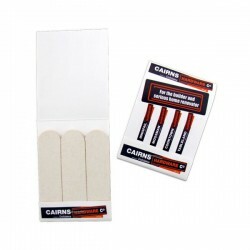 Practical promotional merchandise like our best value branded manicure sets are always appreciated by customers. 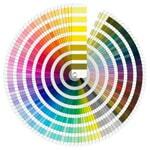 Their regular use translates to continuous exposure for your brand, which improves brand recognition and recall. 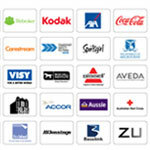 All you need to do is to have them customised with your corporate logo and name. Here at Promotional Product Experts, we offer an abundant selection of printed manicure sets for all kinds of foot care and pampering needs. 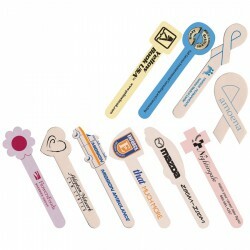 We have branded foot scrubs, emery boards and nail file booklets. If you are looking for a travel business gift, we recommend any of our personalised manicure sets, which come in a variety of cases. For enquiries, click on the images below or contact our promo merchandise experts. Pin on button badge, Supplied in polybag, Indent item, Delivery approximatley 2-3 weeks from order approval, Decoration price included in product cost, additional $45 setup applies. 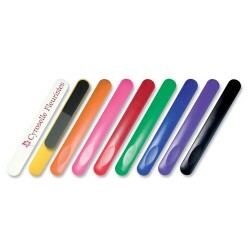 Stylish, pocket sized promotional nail file in stainless steel finish. Branding available on either side. Hole at one end to attach your own keyring or similar attachment. 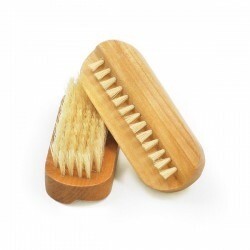 Promotional nail brush in natural timber finish is an ideal promotional giveaway for those looking for grooming gifts. 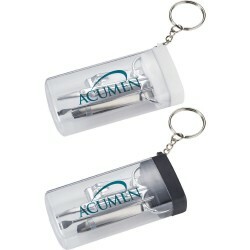 A printed nail brush branded with your company logo will make a unique promotional gift to market your message. 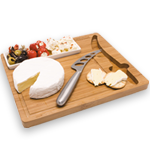 Features 7 quality implements plated in satin chrome and packed in a slimline case. 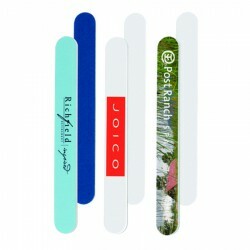 Handy purse sized nail file with a large printing area. 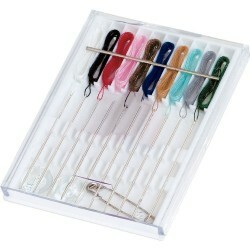 10 pre-threaded needles with assorted thread Colours, 2 buttons and a safety pin. 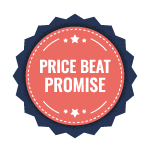 Pin on button badge, Supplied in polybag, Indent item, Delviery approx 2-3 weeks from approval, Decoration price included in product cost, additional $45 setup applies. Manicure set in round case Features: Includes 2 x carbon steel nail clippers, 1 aluminium scissor with stainless steel blades, 1 x stainless steel nail file, 1 x cuticle remover with black PS handle, 1 x stainless steel end cleaner, 1 x stainless steel tweezers all packed in a stainless steel with black ABS round case. 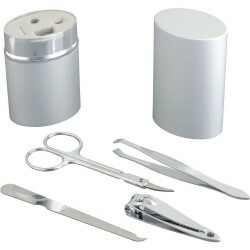 Compact manicure set with 4 matt silver implements - Scissors, Clippers, Flip File and Flip Comb. Packed in Silver tin case with Black zipper. You can take this handy set with you everywhere you go. Tweezers, a nail file, a pair of scissors and a mirror packed in imitation leather pouch. 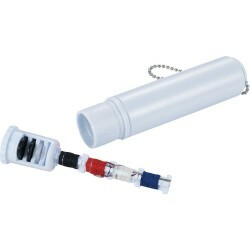 Clear acrylic foot shaped brush and file in one. This imprinted pedicure product is a great way for you to pamper and promote. Custom printing available in one position on the back. Rigid, glass design for optimum control. 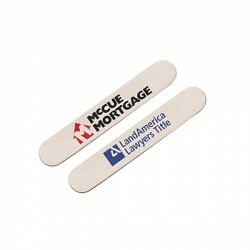 These promotional glass nail files are durable and easy to clean. 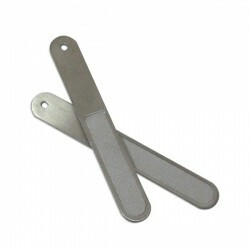 Non eroding filing surface, suitable for both natural and acrylic nails. 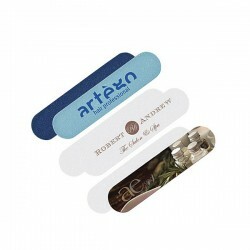 Each custom printed glass nail file is individually packed in clear/white sleeve. Clear glass base with multi-colour gradient trim. Manicure To Go Set Trendy case with key-ring makes it easy to keep this manicure set with you at all times. 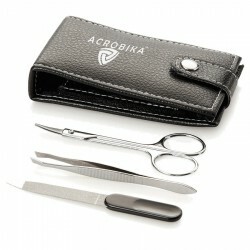 Set includes nail clippers, tweezers, curved scissors and cuticle tool.